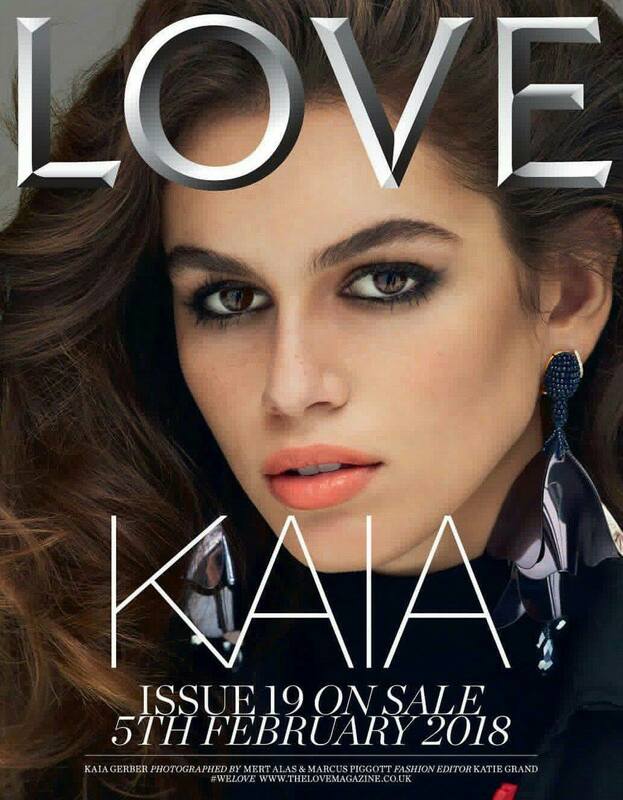 Model of the moment Kaia Gerber is the cover star of Love Magazine's Spring/Summer 2018 edition, and is photographed by Mert & Marcus. The rising star, who also features in a photoshoot for Vogue UK's February 2018 issue, is styled by Katie Grand for Love Magazine, and sizzles in glamorous ensembles. 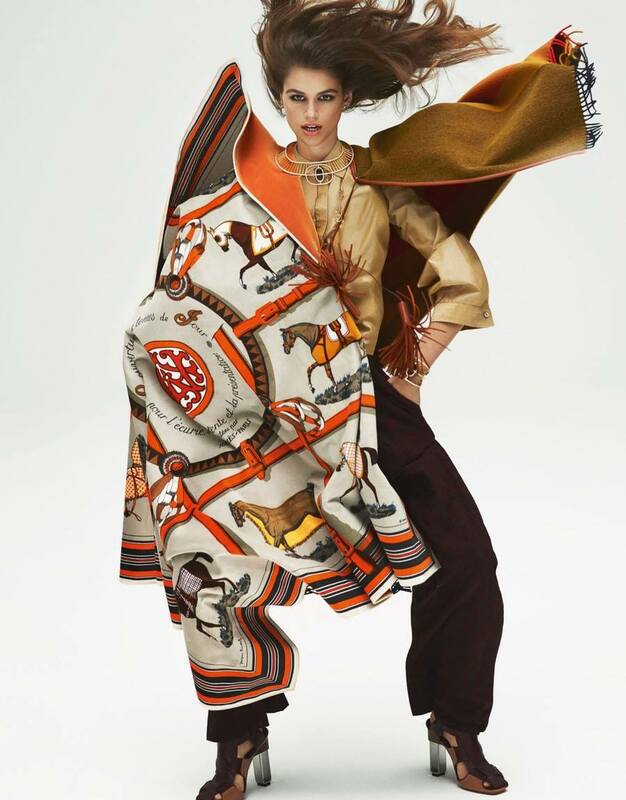 Kaia wears designs from the latest collections of Hermes, Saint Laurent, Polo Ralph Lauren and more, and strikes as a vision in bright colours and statement accessories. The 16 year old star accentuates her beautiful features with intense kohl-rimmed eyes, and wears her hair in big bombshell waves for the editorial shoot.